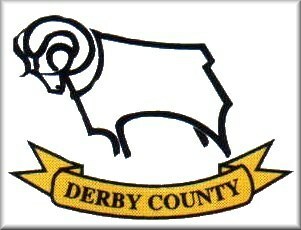 So, after losing at home to Newcastle, we now travel to Pride Park, where John Gregory has been installed as manager. As Glenn says ... not the best time to be playing them. The season has been pretty much one long tale of woe for the Rams. Now on their third manager this season, they have not risen very high up the table and at the moment look certainties for the drop. But those are just the sort of teams Tottenham gift points to (c.f. Ipswich Town). Spurs need to put into practice the Hoddle philosophy that after a defeat, they need to bounce straight back. A game against a relegation battler should provide the ideal opportunity. With Spurs likely to be unchanged, there should be some continuity, but Derby will introduce Warren Barton, who signed today. He was a sub for the Toon on Wednesday, but the Gooner fan will make his Derby debut against us. There could also be a return for Zavagno after serving his suspension. Derby do have some decent players. Poom is a good keeper, but prone to the odd error which is costly, while in front of him Riggott is very highly rated and rumours persist that Liverpool will move for him once County are relegated. Ravanelli is still capable of scoring out of nothing, like he did at the Lane and alongside him, the youthful exuberance of Malcolm Christie is always a threat. The rest of the side are mainly journeymen, who have been thrown together to try and keep the Midlands side in the Premier League. They will be better organised under Gregory, but the resources available to him may mean that he will not be able to play the sort of football he might like to. That is a bit irrelevant at the moment, as his main mission is survival. Don't expect it to be easy on the eye. Having played Spurs twice already this season, the manager will know a fair bit about our strengths and weaknesses, so we could see a lot of long crosses to the far post in the last minute in an attempt to gain a penalty !! Weather : - Sunny, blustery. The effect of a new manager swept away the cobwebs of the previous incumbent and the home side set off like a steam train. Sullivan had some shots to save, but these were mainly straight at him and not difficult. Derby racked up loads of corners, but created little from them, while Spurs tried to hit on the break. Indeed, after the first ten minutes, Sheringham started to move the ball around and things looked as thought they might turn Tottenham's way. Teddy did have the ball in the net, but was denied by the linesman's flag for offside on 20 minutes and he nearly caught out Oakes with some quick thinking a few minutes later. A smartly taken free kick curled just wide, while the keeper still had his back to the dead ball !! Taricco used his head well at both ends, firstly to clear an attack and then to get on the end of Iversen's cross, when he should have done better than head straight at the goalie, something Leonhardsen also did soon after. When Spurs seemed to be taking the upper hand in the air, Derby scored. A move down the right found Ravanelli in the box and he cut the ball back to Morris, who didn't get full power behind his shot, but it somehow managed to squirm it's way under Sullivan and towards the line. Richards hacked it clear, but the goal was given - rightly as TV pictures showed. Conceding just before the break was a blow for Spurs and then they lost Taricco through injury, but replaced him with the pacy Etherington. Matty did well, causing problems up the left and he was unlucky that his low cross to Sheringham was thwarted by Riggott. At the other end Christie had an overhead kick go just wide and for the second time in the match, Perry does well to stop Ravanelli getting a shot in. Richards also stopped him, but the Italian went down looking for a penalty, which Uriah Rennie waved away. Sullivan was called into play, when he turned away a low shot from Morris and King was there to clear. Soon after, he had to come out for a back-pass and was caught by Christie's studs. As the young striker had already been booked, he was fortunate not to receive another yellow and to be allowed to stay on the field. Compared to some of the yellow cards Mr. Rennie handed out in this match, this challenge was well worth one. Shortly before Ted missed Etherington's cross, he also wasn't quite able to reach Leo's volleyed cross and then, in the last minute, missed Rebrov's cross altogether. Gus had headed just over as time ticked out and at the other end Rava had hit the outside of the post with a header. So ended another fruitless trip up a motorway. Things need to be sorted out before February 24th or we might be coming back from yet another. It is bad enough knowing that losing to your near rivals in the League costs you places, as Ted Maul hinted after the Newcastle game, but losing out to Derby means that we are way off track. One win in eight League games has seen us go nowhere in the table, but then, when we want to move up, this is not what the fans want to see. The complete lack of finishing ability is a worry. It wasn't even as if the team dominated the first half as they had been doing, as Derby put Spurs on the back foot straight away as they pressed forward. Sullivan did OK until he let slip Morris' low, but weak shot. He needs to get back on top form before Cardiff too, as we could need him to save us, if the old legs run out of steam at the end. Etherington looked lively on as a sub, but his supply was not finished off. The chances were there, but they just weren't stuck away. With the side unable to keep a clean sheet lately, it is more important that the half-chances are turned into goals, let alone the good ones. It is hard to know where Tottenham go from here, as these are the games that should be three point bankers. Yes, there was the "new boss" syndrome that the players and Hoddle had warned of, but then this should have been expected and as the game went on, Tottenham should have controlled the match better. The goal before half-time made that difficult, but they were pushed back by Derby's hard work and could not match that effort. The 3-1 win over them at home earlier in the season looked a long time ago. Sherwood worked hard to try and prompt the side to get back into the game on his 33rd birthday, but there was little response. The late chances for Gus, who headed over and Teddy, who missed his kick when Etherington squared the ball to him, raised the matter of a natural born goalscorer being brought in to tuck away these chances to stop the points slipping away. Ledley King was the best of the bunch at the back and could not be faulted for his performance, closely followed by Perry. It needs a few more players on top of their game to help set things right again. I don't know if the Worthington Cup final is playing on their minds, but whatever it is needs to be put out of their heads on Tuesday and in the coming League games, otherwise, a defeat in Cardiff might leave that as our only trip into Europe for another year.